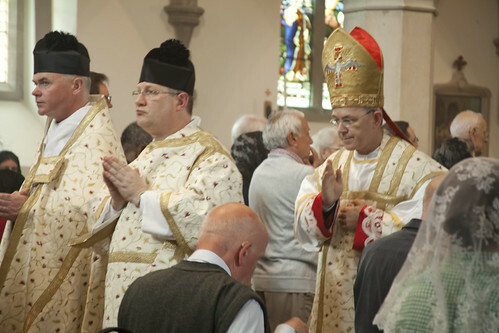 On Saturday the LMS Pilgrimage to Our Lady of Consolation at West Grinstead, Sussex, took place, led by Bishop Athanasius Schneider. There were about 140 people at Mass; which was followed, after a break for lunch, by a talk from Bishop Schneider and Benediction. Another thing worth taking in on a visit to West Grinstead is the Rosary Walk; I have taken a set of photographs of this which you can see here. It was clearly done by the same artist as did the one at the Franciscan Retreat Centre at Pantasaph (my photos of which are here). 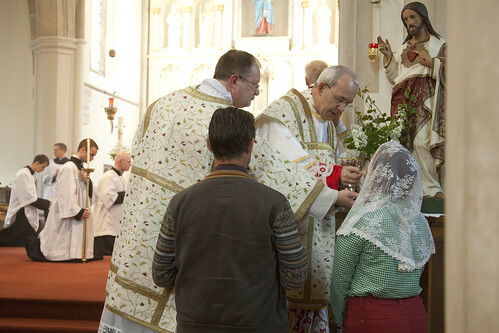 Blessing at the end of Mass. Bishop Schneider will be speaking at the LMS One Day Conference on Saturday 24th: BOOK HERE. He will also be leading the LMS Pilgrimage to Ramsgate on Monday 26th: details here. Fantastic day - well done! Thank you so much for organising this brilliant event. Thank you both for coming! As for organising it, my contribution was limited. Thanks are due to Annie Mackie-Savage, the Local Rep, and Gordon Dimon the MC and the others. At the Pontifical Institute of Liturgy, University of San Anselm , Rome Benedictine priest-professors, offer Holy Mass. 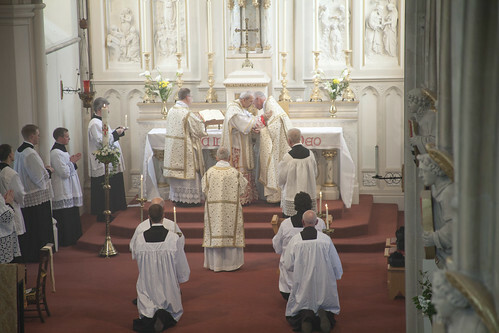 So they promote a theological understanding of the Holy Mass. 2) Since we do not know any of these cases, in real life, they are not visible for us, there are no known exceptions to the literal interpretation of the dogma extra ecclesiam nulla salus, or Ad Gentes 7 which states 'all' need 'faith and baptism' for salvation ? THERE ARE NO KNOWN EXCEPTIONS OR YES THERE ARE KNOWN EXCEPTIONS TO EXTRA ECCLESIAM NULLA SALUS. 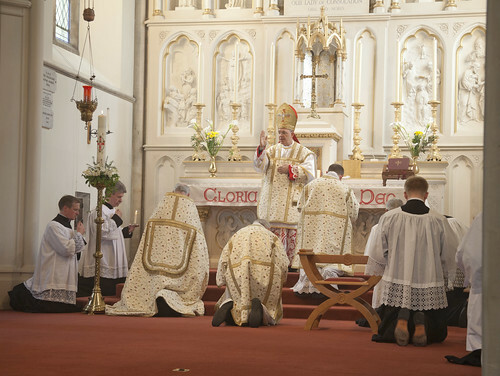 How would Bishop Athanasius Schneider and the priests who offer the Traditional Latin Mass in England answer the two questions? Maybe you should come to the LMS conference on Saturday and ask him. 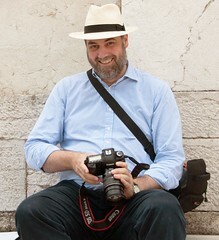 I would like to be there but I am here in Rome. I did send queries to Bishop Athanasius in his diocese but received no reply or acknowledgment. Maybe Feeneyites should not pollute reputable blogs with their agenda driven drivel? I am not saying the same about traditionalists who are Cushingites. 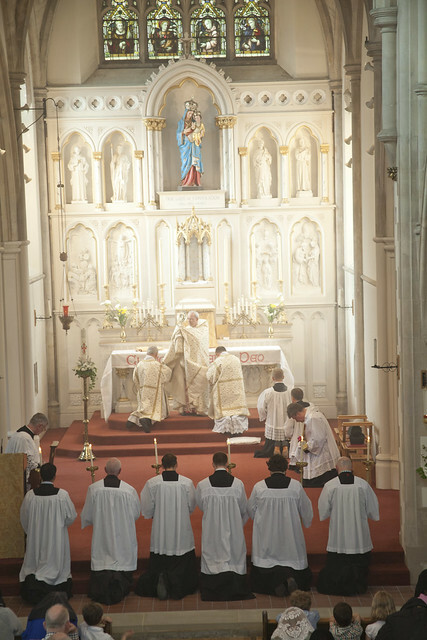 Why do young people in Southwark ,for example, who have a religious vocation, have to affirm that they can see the dead saved with ' a ray of the Truth' and so every one does not have to enter the Church as Fr.Leonard Feeney and the popes and saints alleged - and which Cushing denied. Why must I be a Cushingite like you and affirm heresy, that of there being known, visible exceptions to a defined dogma ? May be participants at the May 24 London conference will also not be aware of the Cushing-Jesuit Factual Error. 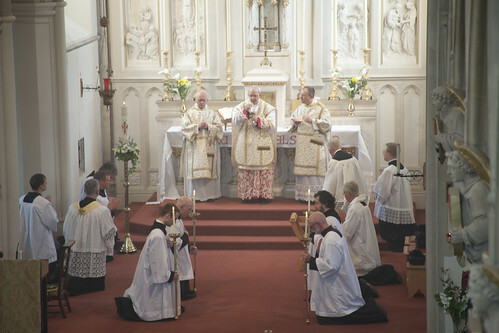 Students at Fischer More College attend Holy Mass offered by priests in public heresy?